Welcome to bid council. A website devote to featuring information about the worlds large auction houses and the auctions they hold. Here you will find information about the history of different auction houses. You will also find information about future auctions. The worlds two most famous auction houses. otheby’s is a British-founded auction house and retail business headquartered in New York City and listed on the New York Stock Exchange. It is one of the world’s major auctioneers and brokers of fine art, decorative art, jewellery, collectables and real estate. Christie’s is a British auction house founded by James Christie in 1766. Today, the company is owned by Groupe Artémis (François-Henri Pinault’s holding company). Below you will find a number of the worlds other large auction houses. The Bukowskis company group, owned by the Swedish Lundin family since 2007, is divided into three branches: Bukowskis Fine Are, Bukowskis Online and Bukowskis Real Estate. Bonhams is one of the world’s oldest auctioneers of fine art and antiques. In addition to fine art and antiques, Bonhams also has a strong presence on the markets for pictures, collectables and motor cars. 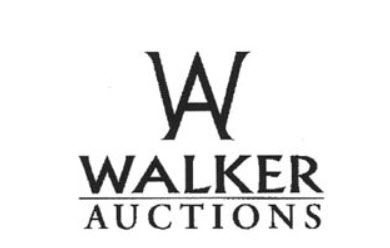 Walker’s Fine Art & Estate Auctioneers Inc. is a Canadian auction house chiefly known internationally as one of the main auctioneers of Inuit Art, but this auction house also handles other types of art, plus antiques, collectables, and more. Freeman’s Auctioneers & Appraisers – commonly referred to simply as Freeman’s – is a Philadelphia-based auction house founded in 1805. Based on the Chinese mainland, the auction house China Guardian (China Guardian Auctions Co. Ltd) specialises in Chinese artwork. It is chiefly famous for its sales of Chinese ink paintings and calligraphy, which constitute about 60% of its sales volume.